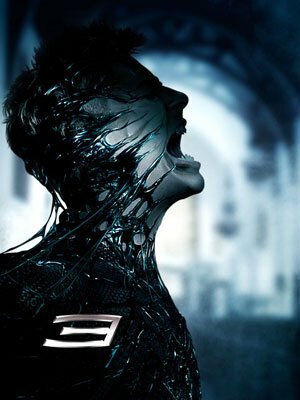 Cam's Cinematic Episodes: SPIDER-MAN 3: An Eye-full Of Venom! Okay, people! Today's entry is a really polarizing one. This is a serious "I don't give a crap! "/"This is the most exciting news of the week!" type-thing. I actually wasn't going to give it mention but a friend convinced me that this was worth devoting attention to (So blame him if this stuff bores you!). Either way, it surrounds a movie that I imagine 98% of the population of North America will end of seeing anyways. So, let's get to the point of today! Spider-Man 3 has been surrounded by a tornado of gossip, hearsay and misdirection since its early inception. The media has reported false rumor after false rumor. We were told that co-star Topher Grace would be playing Electro, that Grace and Thomas Haden Church would be playing the same character: the shape-shifting villain Chameleon, they even reported that the movie would follow the storyline of the universally hated Clone Saga storyline (A storyline so awful that Marvel's Spider-Man sales plummeted and they ended up rewriting everything so that it didn't really happen), with Grace as Tobey Maguire's clone, Ben Reilly (aka The Scarlet Spider!). All these news leaks were nonsense (And brilliantly leaked by Sony, and prank-loving Spider-Man director, Sam Raimi), however one leak proved true. Bewildered co-star Kirsten Dunst accidentally let it slip that Topher Grace would be playing fan-favorite villain Eddie Brock, better known as Venom. Now, the sheer ridiculousness of the early parts of Venom's origin will no doubt be rewritten so the film will better suit the more realistic tone set by the first two pictures. 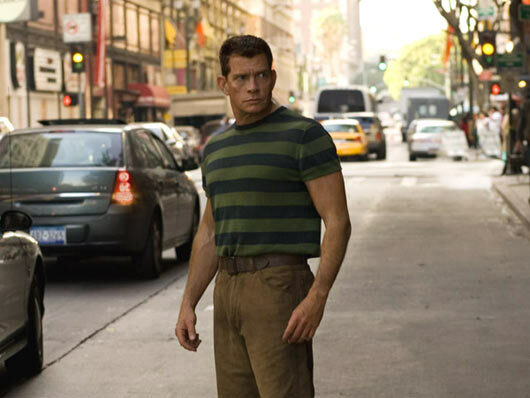 Eddie Brock has been downsized from a massive weight-lifter type dude to, well, that skinny kid from That 70's Show (That's him in that photo at the top of this entry). They will, also, I imagine attempt to make him a more sympathetic character, like Raimi did with Dr. Octopus in Spider-Man 2. Now, since the knowledge of Venom's participation became public, fan fervor has been uproarious, eagerly awaiting a glimpse of how the character will translate to the screen. All the excitement over Venom has almost completely over-shadowed any interest in Haden Church's Sandman character. However, Sony, in a brilliant effort at building anticipation, have kept the venomous one tightly under wraps (even excluding him from the film's first trailer), with not a single image of the character leaking into the public eye... Until now! Now, before I get to the actual pics, I'll warn you that they are far from A-quality photos. In fact, they aren't even shots from the film (Or even of Topher Grace). 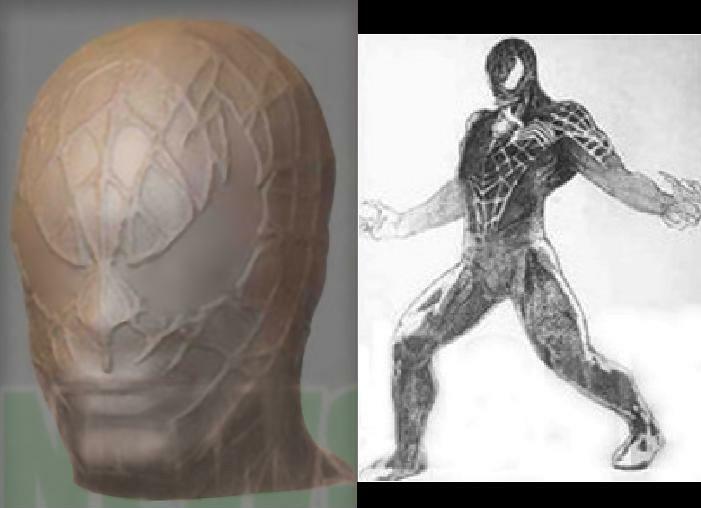 Rather, they are in the form of a leaked character sketch and the prototype for a sculpture that will be sold in connection with the film. So, I'll dispense with the excitement-building and show them to ya! Now, I'll be the first to admit, the production sketch is pretty vague. It is apparently authentic, but it's impossible to know how far into the development process this picture dates. Anyone that has seen production sketches knows that they typically evolve from one thing into something completely different over the course of development. Heck, C-3P0 started out in a feminine form similar in concept to Fritz Lang's Metropolis and Han Solo looked like a light-saber wielding Bee Gee's member. So, there's really no saying if this sketch is anything like what will show up on screen. The sculpt, however, is undoubtedly very much what we will be seeing on screen. 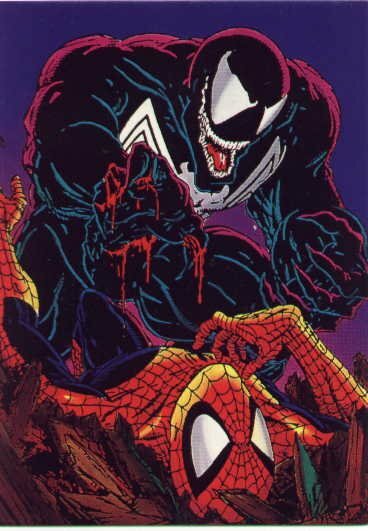 They are obviously toning down the monstrous Venom image of the comics to better act as the dark mirror image of the movie Spider-Man. Unfortunately we don't get a glimpse at the mouth, as that's obviously Brock's mouth being revealed by the suit. I'm curious whether the filmmakers will go with the gaping-jawed, slobbery look of the production sketch, or the slightly subtler toothy grin of the image above-right. Either way, I like the direction they're going in. So there you have it. This is nitpicky movie-geek stuff to be sure, but it's also cool to see that a beloved character is looking to be well-translated. It's shaping up that Venom will more likely fall into the Dr. Octopus category of excellence, and not into the Power Ranger-tastic group that Green Goblin fell in. Either way, I'll be in the theatre next May no matter what, and the majority of you likely all will too. Now that you've wasted 2 minutes of your life watching it, I'll comment on it! What the hell is that? First off, this isn't a remake! The original took place in an underground bunker, where an army platoon found solace after zombies had overrun the world above... This looks like a Resident Evil rip-off! And come on, I do not buy Mena Suvari as an army ranger! If you're gonna throw an American Pie alum into a bad horror movie, get Chris Klein. He can actually pull off a soldier role (As witnessed in the infinitely better We Were Soldiers). This whole project has straight-to-video written all over it. Why can't Ving Rhames get better work? This man is one of the most intense actors out there! Wasn't it enough he had to be in Dawn Of The Dead? Call up Tarantino and get a Marcellus Wallace film going or something. Geez... Oh, and if you want to see a decent remake of Day Of The Dead (Which itself was no prize! ), rent 28 Days Later. It's too similar to be mere coincidence. Better yet, go rent the original Night Of The Living Dead! It's far scarier than this crap-fest will be. At any rate, this entry is done! You had geeky excitement followed by whiny bitterness. Let's hope the next post isn't such as emotional roller-coaster. I'm going to go watch Survivor: Cook Islands. It always cheers me up. Jeff Probst, the tribe has spoken, and you sir are the new king of cool! *EDIT*: Bah, stupid Survivor recap episodes! Now, I'm really angry! Damn you Probst, Damn YOU!!!!!!!! Jeff Probst is The ULTIMATE SURVIVOR!